Welcome to The Lodge at Mountain Village, where convenience meets luxury. Our guests enjoy ski-in/ski-out access, top-rated accommodations and outstanding service, all while relaxing at the foot of the Park City Base Area. 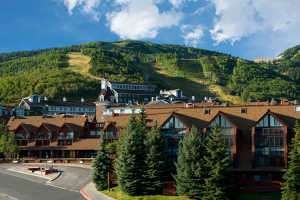 Located beside the Park City Mountain PayDay chairlift, The Lodge at the Mountain Village is home to hotel rooms, studio suites, and 1-to-4-bedroom condominiums, both standard and deluxe-rated. Each condominium features a full array of plush amenities, including full kitchens, large and comfortable living areas, restful bedrooms, cozy fireplaces and incredible mountain views. The Lodge, true to its name, is built over a literal mountain village, overlooking a charming centralized outdoor ice rink and shops, including ski shops, restaurants, boutiques and coffee shops. Known as "your place for family and friends," The Lodge specializes in hosting gatherings of all sizes, from family trips to business conferences — boasting more than 3000 square feet of conference space. Some conference rooms are literally ski-in/ski-out. Arrive to your meeting in style! Park City's Historic Main Street is just down the hill, packed with shops, restaurants, galleries, and nightlife destinations. Both concierge and on-demand shuttle services are standing by to assist with anything a guest could need during their stay. The Lodge at the Mountain Village pool and fitness center will be closed from 4/8/2019 to 6/30/2019 for renovations and updates. We apologize for any inconvenience caused by this closure. Description The Lodge at the Mountain Village offers a variety of versatile convention facilities, able to serve groups from five to 300. Whether you are planning a corporate retreat, a conference, or a family reunion, each meeting room is unique, offering amenities such as gas fireplaces, skylights and ski-in/ski-out access. The Lodge at the Mountain Village offers almost 7,000 square feet of meeting space under one roof.